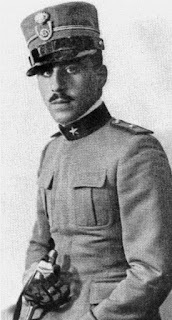 Amedeo Guillet, the last man to lead a cavalry charge against the British Army, was born on this day in 1909 in Piacenza. His daring actions in Eritrea in 1941 were remembered by some British soldiers as ‘the most frightening and extraordinary’ episode of the Second World War. It had seemed as though the British invasion of Mussolini’s East African empire was going like clockwork. But at daybreak on January 21, 250 horsemen erupted through the morning mist at Keru, galloping straight towards British headquarters and the artillery of the Surrey and Sussex Yeomanry. Red Italian grenades that looked like cricket balls exploded among the defenders and the guns that had been pointing towards Italian fortifications had to be quickly turned to face a new enemy. The horsemen later disappeared into the network of wadis - ravines - that crisscrossed the Sudan-Eritrean lowlands. Guillet’s actions at Keru helped the Italian army regroup and go on to launch their best actions in the entire war. 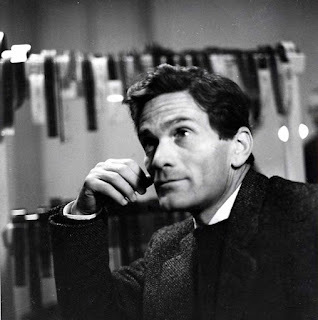 Guillet was to live on until the age of 101 and become one of the most decorated people in Italian history. 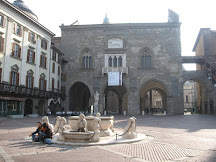 Guillet was born into a Savoyard-Piedmontese family, who were minor aristocracy that had, for generations, served the Dukes of Savoy and later the Kings of Italy. He spent most of his childhood in the south and said he remembered the Austrian biplane bombing of Bari during the First World War. 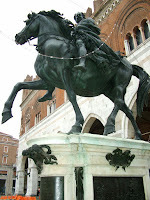 He followed family tradition by joining the army and, after attending the military academy at Modena, went into the cavalry. Guillet excelled as a horseman and was selected for the Italian eventing team to go to the Berlin Olympics in 1936. But Mussolini’s invasion of Ethiopia interrupted his career as a competition rider. 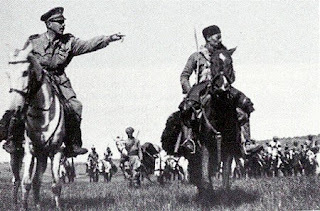 He had himself transferred to a cavalry division and fought repeated actions with them. He witnessed the aerial gas attacks on Emperor Haile Selassie’s lightly-armed warriors, which appalled the world. In Guillet’s opinion, gas was largely ineffectual against an enemy that could flee. He fought with horse, sword and pistol. He suffered a painful wound to his left hand and was later decorated for his actions. He was flattered to be chosen by General Luigi Frusci as an aide de camp, in the division sent to support Franco in the Spanish Civil War, where he suffered shrapnel wounds, but helped to capture three Russian armoured cars and crews. But he disapproved of the pro-Nazi alliance and the anti-Semitic race laws adopted by Italy and asked for a posting to East Africa, where a family friend, Amedeo Duke of Aosta, had been appointed viceroy. 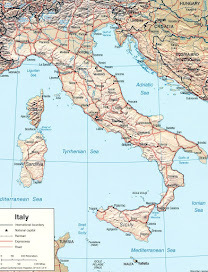 Mussolini’s decision to enter the war on the side of Germany in 1940 cut off Italian East Africa, which was surrounded by the territories of its enemies. Aosta gave Guillet command of 2,500 men, both cavalry and infantry. With almost no armour, Guillet’s horsemen were used to delay the British advance. His actions at Keru and in subsequent battles won time for the Italian army, but eventually the British broke through. Most of the Italian army surrendered but Guillet refused to do so. Aosta ordered his men to fight on to keep as many British soldiers as possible in East Africa. For nine months Guillet launched a series of guerrilla actions against British troops with his mistress, Khadija, an Ethiopian Muslim, at his side. 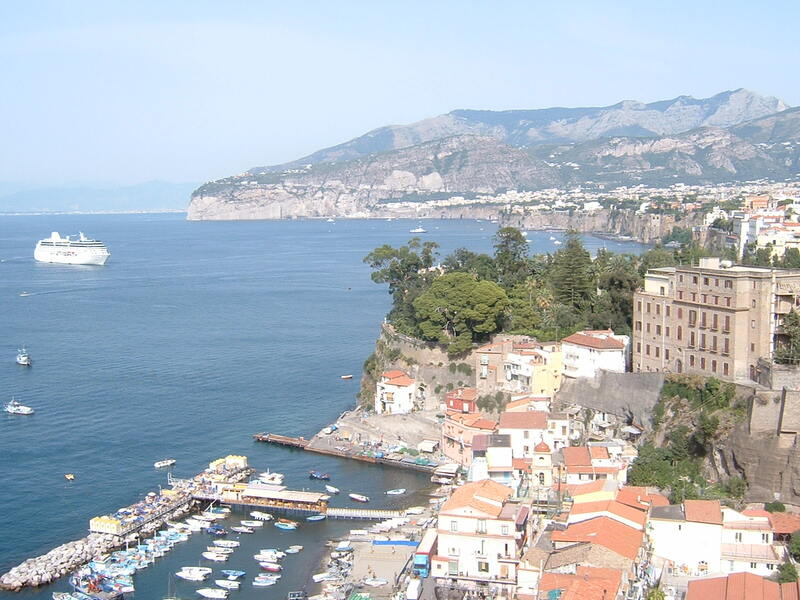 He believed he would never see Italy, or the woman he had planned to marry there, ever again. Two British intelligence officers pursued him. One of them, Major Max Harrari, would later become an art dealer and one of his close friends. But Guillet managed to escape across the sea to neutral Yemen where he became a friend of the ruler Imam Ahmed. He sneaked back to Eritrea in 1943 in disguise, from where he returned to Italy on the Red Cross ship, Giulio Cesare. 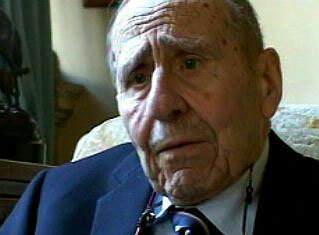 He married his Neapolitan cousin, Beatrice Gandolfo, in 1944 and spent the rest of the war as an intelligence officer. 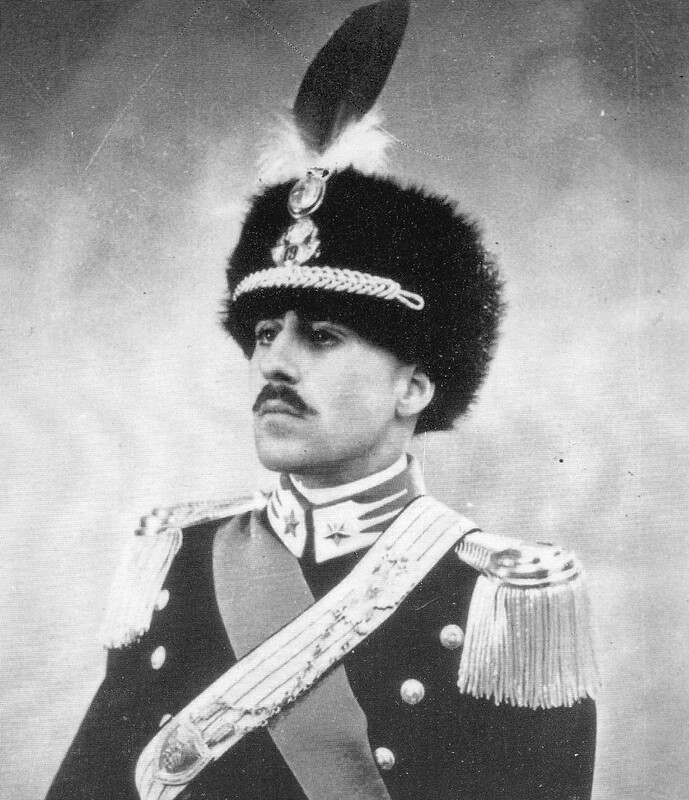 At the end of the war, after the decision to abolish the monarchy in Italy, Guillet told Umberto II he intended to leave the country for good, but the deposed King asked him to keep serving Italy, whatever sort of Government was installed. Guillet joined the diplomatic service and because his Arabic was fluent he served in the Middle East. He was later ambassador in Jordan, Morocco and India. In 1975 he retired and went live in County Meath in Ireland to enjoy the fox hunting. According to his biographer, Sebastian O’Kelly, Guillet was ‘a kind, generous man who thought himself lucky to have survived many bullet and grenade wounds, sword injuries and bone fractures.’ Guillet’s wife, Beatrice, died in 1990. In 2000, Guillet was presented with the Knight Grand Cross of the Military Order of Italy, the highest military decoration, by President Carlo Azeglio Ciampi. 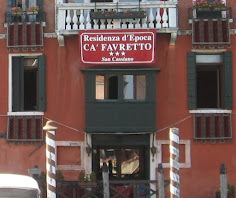 Guillet’s life story was the subject of a film made by Elisabetta Castana for the national TV channel RAI in 2007. In 2009 he was still well enough to be able to celebrate his 100th birthday at the army officers’ club in Palazzo Barberini in Rome. When Guillet died in June 2010 in Rome he was widely respected as one of the last men to have commanded cavalry in a war. 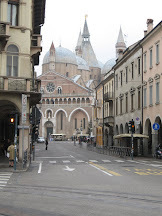 Piacenza, where Guillet was born, is a city in the Emilia-Romagna region of northern Italy. The main square in Piacenza is named Piazza Cavalli because of its two bronze equestrian monuments featuring Alexander Farnese, Duke of Parma and his son Ranuccio I Farnese, Duke of Parma, who succeeded him. The statues are masterpieces by the sculptor Francesco Mochi. 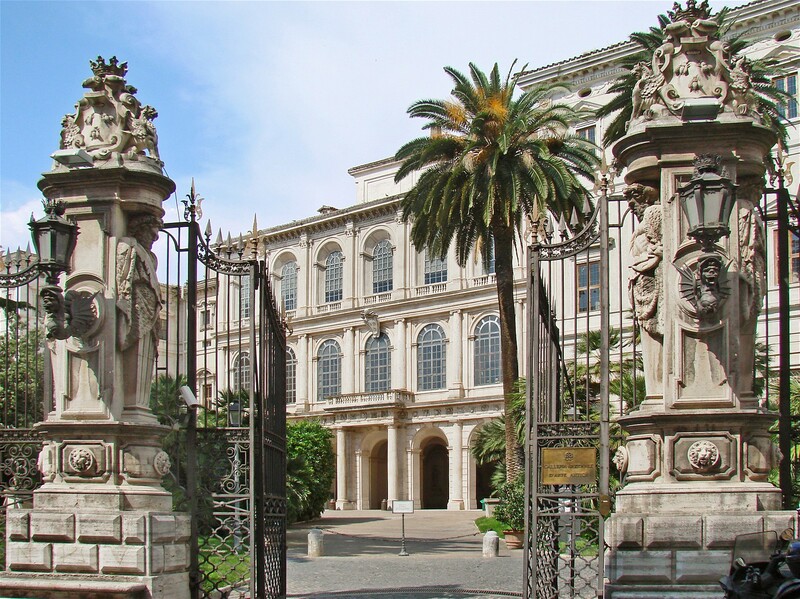 Palazzo Barberini, where Guillet celebrated his 100th birthday, is just off Piazza Barberini in the centre of Rome. 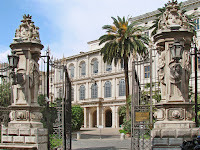 The palace was completed in 1633 for Pope Urban VIII to the design of three great architects, Carlo Maderno, Francesco Borromini and Gian Lorenzo Bernini.